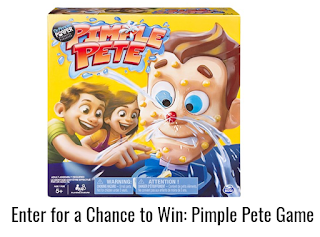 PRIZES: ten (10) winners Each winner will receive one (1) Pimple Pete Game Presented by Dr. Pimple Popper ("Prize"). Each Prize has an Approximate Retail Value ("ARV") of $19.99. Limit one (1) Prize per person/per household/email address. Total ARV of all Prizes is $199.90.